You might be thinking that a roof is just some pieces of wood and some shingles on top, right? Overall, the roof may not seem complicated, but it is one of the most important systems that is protecting your home and your family. Minor cosmetic issues, such as some shingles that were blown off after a storm, might not just be cosmetic below the surface. And larger issues, such as you’ve noticed stains from a leak on your ceiling, could lead to significant structural damage or mold. So, if these examples aren’t enough to keep you on the ground, here are some more reasons why you should call a professional roofing company in Loveland. You probably have a screwdriver, a hammer, and maybe even a few spare shingles, but professional roofing tools go beyond your typical toolbox supplies. 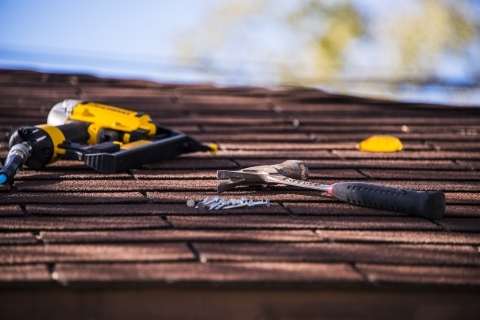 Not only will a roofer have safety supplies, they will have roofing specific tools, such as repair kits, heat welding, and siding and gutter tools. When you climb on the roof and find that you don’t have what you need, you’re putting yourself at risk. 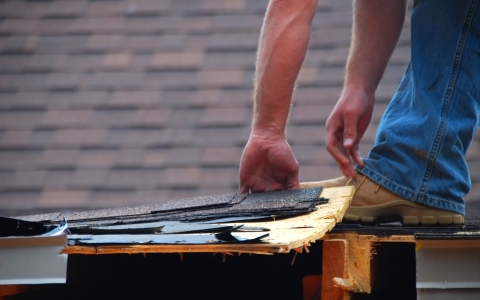 The main purpose of a sturdy roof is to prevent water from entering your home. And making sure this happens is more than just putting a layer of shingles on the roof. You need to make sure that the roof is watertight, and that water doesn’t drip into any gaps and through your ceiling. And if you do try a DIY route, it’s difficult to really know if you did it right until a storm comes along and you still see dripping from your ceiling. For an effective, thorough roof repair, get in touch with the professionals at Denali Roofing. If you’re inspecting your roof from a ladder, you can probably see if there are shingles missing or if there is a patch of waterlogged roof, but that may be the extent of what you can see from the surface. Below the surface, the damage may be more severe. Again, if you do try to fix the problem yourself, it’s rare that it’s done properly, and you’re also putting yourself at risk. Along those same lines, when homeowners try to fix their roof alone, you could actually be making the problem worse. If there are some missing shingles, for example, and you replace them, do you know with 100 percent certainty that it was done correctly and securely? When done improperly, you could be causing the surrounding shingles to become loose as well. So when a storm comes, the entire section of the roof could blow away, leading to an increased chance of that area succumbing to leaks. Above all, DIY roofing repairs can be dangerous. Depending on the slope and material of your roof, simply stepping onto the surface can lead to a fall. And if you happen to get a hammer and nails out, managing the tools and trying not to slip off is harder than it sounds. 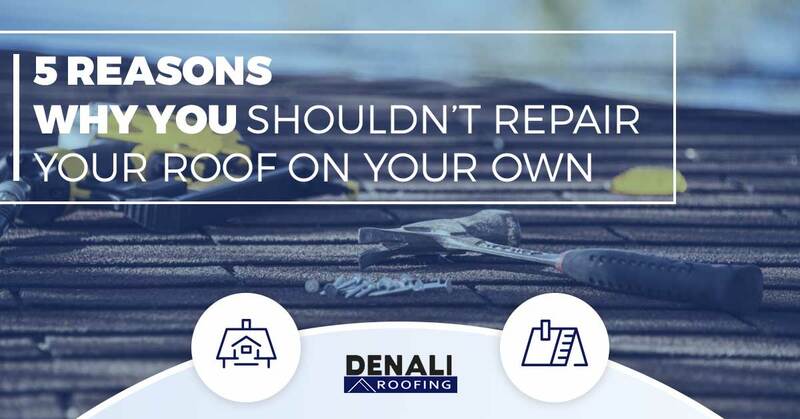 The roofers at Denali Roofing love it when our customers have done their research and understand what it takes to repair or install a roof, but when homeowners try to do it themselves — we cringe at the thought. When you’re in need of a professional roofing company, leave it up to the experts at Denali Roofing in Loveland. Call us today for a free inspection.